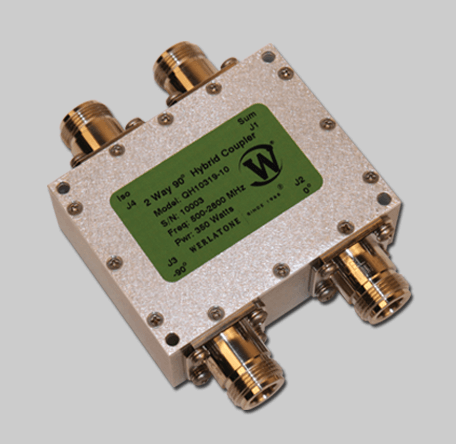 The Model QH10319 is a connectorized, High Power 90° Hybrid Coupler, covering the full 500-2800 MHz band, and is rated at 350 W CW. Providing excellent amplitude balance, insertion loss, and port-to-port isolation, the QH10319 is ideal for combining two amplifier pallets at the system level. The QH10319 is robust, compact, and designed to handle extreme environmental conditions.